High school senior follows his passion to new heights. Since he was in elementary school, MVRHS senior Max Smith has been enthralled with mechanics: diagnosing problems, fixing things, and making things work more efficiently. 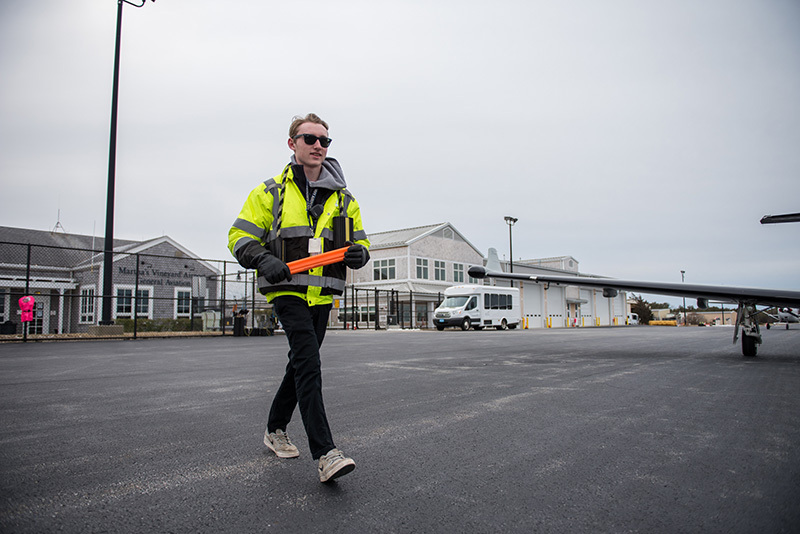 Now Smith has the opportunity to pursue his passion in aviation mechanics at the Martha’s Vineyard Airport, under the instruction of some very experienced teachers. He began an internship at the airport last summer, and was immediately immersed in the dynamic, productive, and supportive work environment. 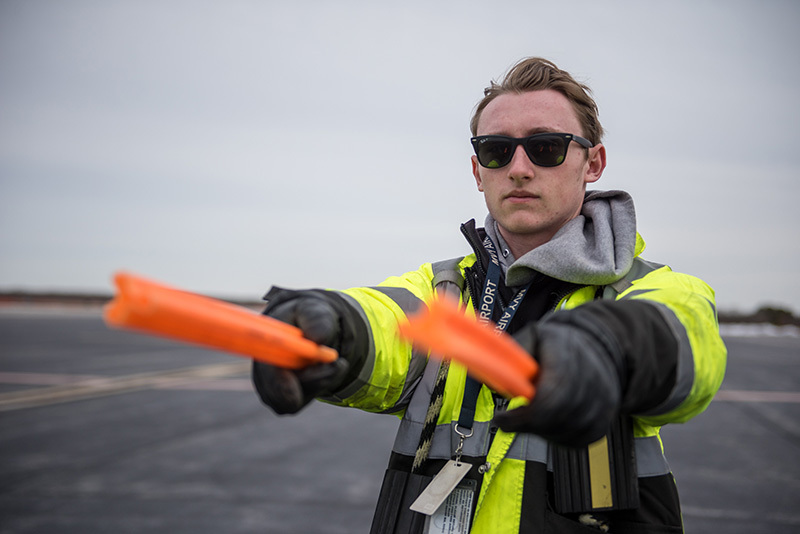 Now he works as an operations assistant every other school day for the work-study program at MVRHS — parking planes, maintaining fields and taxiways, and sometimes even shadowing an aircraft mechanic. “Everyone here is so friendly, and they all really want to teach me how to succeed,” Smith said. A friend was doing a work-study during junior year, which initially piqued his interest in alternative studies, Smith said. Smith went to the airport with his father, an Island EMT, to witness MedFlight training. That was when his interest in aviation mechanics really took off. Although Smith said he doesn’t think he will ever pursue a career as a pilot, he does hope to someday get his own pilot’s license and fly his own aircraft. Prior to landing his job at the airport, Smith had never even flown in an aircraft. Now, he said, he is busy memorizing different makes and models of planes, and learning some of the ins and outs of aircraft mechanics. “I can’t believe how much I have learned in such a short time here,” Smith said. One of the hardest things Smith said he had to quickly adapt to is all the pilot lingo used on and off the runway. Additionally, when pilots land their planes, they switch from an air radio frequency to a ground radio frequency, requiring workers on the taxiway to stay on their toes and switch back and forth between channels. 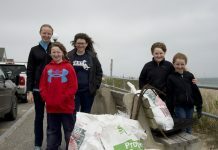 “It gets pretty crazy here sometimes, especially during the summer when you are constantly switching back and forth between channels trying to keep up with incoming planes,” Smith said. 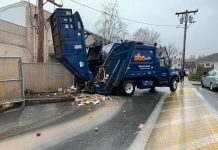 Because the rate of incoming air traffic is so high in the summertime, Smith said he spends most of the day parking planes instead of attending to other maintenance tasks. 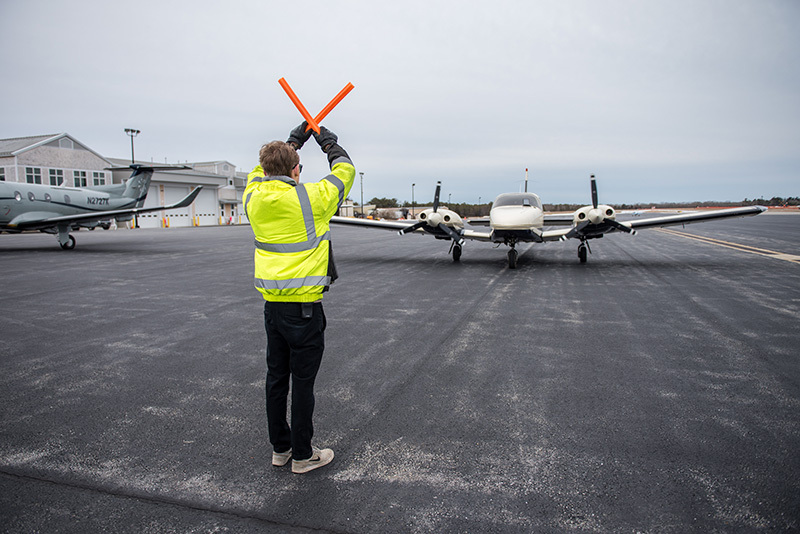 “But during the winter, I have more opportunity to go and learn about other aspects of the airport; in the summer it’s pretty intense,” he said. Smith plans to attend Cape Cod Community College to study aviation mechanics. 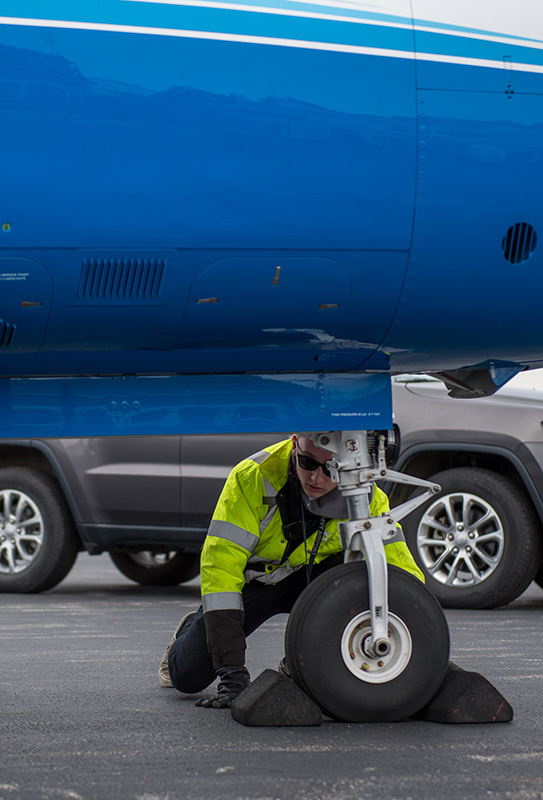 The college program is paired with Plymouth Municipal Airport, which means Smith will have the chance to get more hands-on training with real-life aircraft. He will enroll in a 15-month associate’s degree program to get his Airframe and Powerplant certification, issued by the Federal Aviation Administration. Apart from his love for aviation, Smith is passionate about his academics, and is a talented lacrosse goalie. 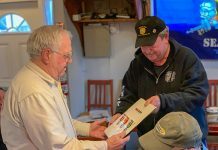 He is also a volunteer fireman with the Oak Bluffs Fire Department. Smith said the dynamic at the airport is fun and exciting, and pairs well with his part-time firefighting job. He came to the airport to learn new skills and pursue his passion, but also ended up gaining a great group of friends and mentors.